Stewart Pearce is the legendary Master of Voice, Voice Alchemist and Angelic Emissary mentored Diana, Princess of Wales during the last two years of her life. Listen to his unique Angelic Prophecies about these changing times from Diana and the Angels of Atlantis! So why not enlist the inspirational magic and loving support of the Angels of Atlantis? They are here, more than ever before leading to a Divine Portal that will open at the beginning of March 2019. If you wish to acquire WEALTH, WORTH or WELL-BEING, Stewart as an Angelic Emissary will call upon the Angels of Atlantis to amplify whatever you wish to enable manifestation in your life. 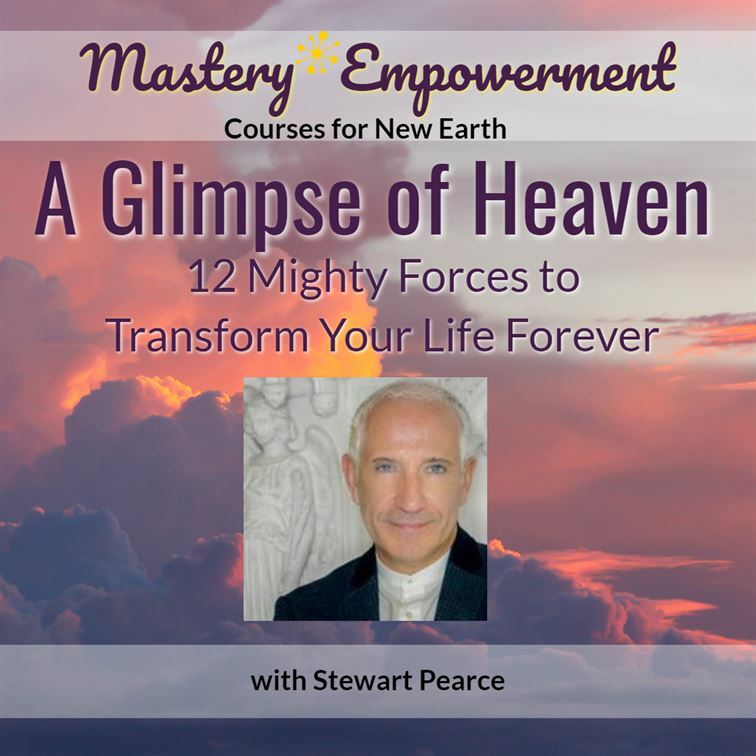 The legendary Stewart Pearce is one of the world’s leading Spiritual Teachers, acclaimed by major celebrities as an Angelic Emissary Voice Alchemist, and Master of Voice. For well over thirty years Stewart has coached leading Lightworkers, CEO’s, Politicians, States-people, Royalty, Religious Leaders, Celebrities, & Actors including many of Oscar-winners. Just listening to Stewart’s voice activates profound healing and transformation as the Angels bring their energies directly through his presence. In 1987 during the Harmonic Convergence, Stewart had a profound mystical experience, when he met the twelve Angels of Atlantis at the Heart Chakra of the World – Glastonbury Tor England. This utterly changed his life and for thirty years he has dedicated his work to the awakening of the Angels within mainstream consciousness, for they come with a very specific message! Stewart is also the author of four acclaimed books concerning angelic activism, and the use of voice for sound healing: ‘The Alchemy of Voice’, ‘The Heart’s Note’, ‘The Angels of Atlantis’, and ‘Angels and the Keys to Paradise’. He was also divinely inspired to create two beautiful and beloved Oracle card decks: ‘The Angels of Atlantis’, and the ‘Angel Heart Sigils.’ In addition, he has recorded six award winning sonic meditations, and Stewart’s work is regularly featured on Global Radio, TV, and Media – such as OM TIMES and leading newspapers. As a Master of Voice Stewart has a reputation for training the Actor, and his last position was helping to pioneer Shakespeare’s Globe Theatre between 1997-2010. Stewart has coached world famous actors such as Oscar winner Eddie Redmayne, Matthew Goode, Hugh Bonneville of “Downton Abbey”, Oscar winner Sir Mark Rylance, Simon Callow CBE, Dame Vanessa Redgrave, Michelle Williams, Minnie Driver, Margaret Thatcher, Diana, Princess of Wales, and the LONDON 2012 OLYMPIC Bid, and New York Times Best-selling author and frequent Oprah guest, Marianne Williamson. Stewart leads life-changing, miracle workshops, and transformational retreats around the world including sacred trips to the great temples of Egypt and the Atlantean sites.